The last movements of a young woman murdered more than 25 years ago have been reconstructed for the BBC's Crimewatch programme. 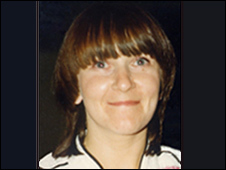 Sheila Anderson, 27, was found lying with serious injuries in the Granton area of Edinburgh on 7 April 1983. The mother-of-two's family have told the programme of the trauma they have suffered as a result of the murder. Detectives hope the new appeal, to be shown on BBC One, will jog the memories of potential witnesses. Sheila Anderson was working as a prostitute at the time of her death. Her injuries were so severe that officers initially thought she was the victim of a car crash. In a statement her family said: "Sheila's death affected all our lives, and still does to this day. "We will remember Sheila as a woman with a gentle nature who was loving and caring. "She touched the hearts of all who knew her, and was much loved by us all. "We hope that, after many years, we will obtain the answers to the questions that we have." Inquiries at the time of her death revealed she left her home in the Drylaw area of the city around noon. There were various sightings of her during the day in west Granton and Leith. The final confirmed sighting was in Commercial Street around 2330 BST. Her handbag was found near a car park at Longniddry Bents, East Lothian, on Sunday 10 April, 1983.